In the last chapter, we studied about Regression analysis, its types and walked through concepts of univariate and multivariate analysis. In this chapter, we are going to dive in further in Regression analysis while covering Linear Regression Analysis. Independent variable (X) is used for predicting the x which is called as predictor variable. when 1 independent variable is used, analysis is called simple linear regression which comes under univariate analysis whereas when multiple variables are used in the study, it is called multiple linear analysis which falls under multivariate regression analysis. In linear analysis, first a plot is charted using the variable’s value and a line is plotted. This line is called line of best fit. It is used to join different values on the chart. 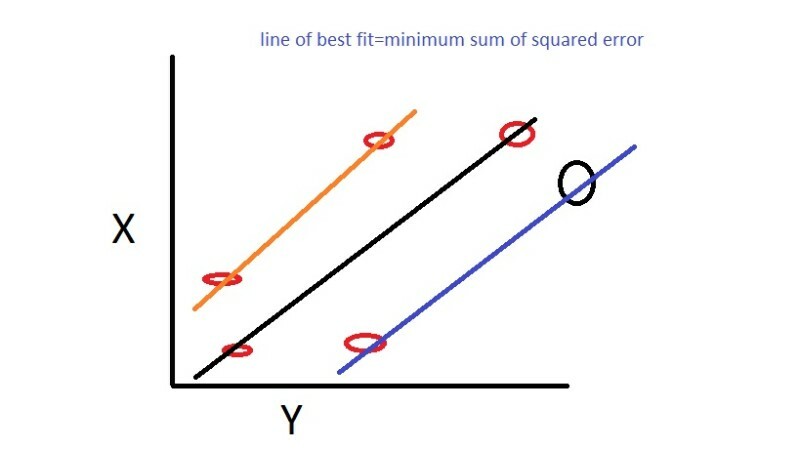 You may have a situation where multiple lines could be drawn, in that case you will chose the one with minimum sum of squared errors. Residual Value- It is the discrepancy between the actual and the predicted value. R2 (R Square) is based on line of best fit and is used to measure the strength of the relationship between variables in question. Model p-value should be less than 0.05 which have earlier seen p test and anova related chapters. R Square should be greater than 0.06. 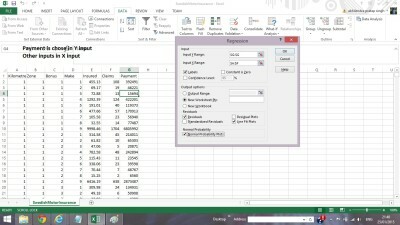 Adjusted R Square should be closer to R square and there should not be much difference between them.